In red, the lands of Navarre occupied by Ferdinand. In pink, the remaining Kingdom of Navarre which survived until Louis XIII of France, II of Navarre. The Spanish conquest of the Iberian part of Navarre was initiated by Ferdinand II of Aragon and completed by his grandson and successor Charles V in a series of military campaigns lasting from 1512 to 1524. The war ended in 1528, confined by then to Lower Navarre, north of the Pyrenees. Ferdinand was both the king of Aragon and regent of Castile in 1512. When Pope Julius II declared a Holy League against France in late 1511, Navarre attempted to remain neutral. Ferdinand used this as an excuse to attack Navarre, conquering it while its potential protector, France, was beset by England, Venice, and Ferdinand's own Italian armies. Several attempts were made to reconquer Iberian Navarre immediately following the Castilian invasion. There was a half-hearted attempt in 1516 and a full-fledged Franco-Navarrese campaign in 1521. All attempts were defeated by the Spanish and clashes came to a halt to the north of the Pyrenees in 1528, when Spanish troops withdrew from Lower Navarre. The Treaty of Cambrai between Spain and France in 1529 sealed the division of Navarre along the Pyrenees; the independent Kingdom of Navarre survived in Lower Navarre, ruled by the House of Albrets and united with their principality of Béarn It maintained close links with France. The kingdom was absorbed into France in 1620 (nominally in 1790). Navarre was mired in instability over the throne since the mid-15th century. At the same time, the Navarre nobility split into two warring factions in the War of the Bands: the Beaumonts; and the Agramonts. This caused ramifications both within and out of Navarre and made it susceptible to external meddling. When Queen Catherine of Navarre married John III of Albret, many in Navarre contested this arrangement. Starting in 1474 the King of Castile, Ferdinand II of Aragon, instituted a combination of alliances and military efforts aimed at securing the control of neighbouring kingdoms. This included attempting to turn Navarre into a de facto protectorate of Castile in 1476. However, during the following decade the Aragonese king and Queen Isabella I of Castile focused their military efforts on subduing the Emirate of Granada during a 10-year war. This ended in 1492 with Castile annexing the emirate and putting an end to the Reconquista. After the fall of Granada, pressure on Navarre intensified. In summer 1510 the international scene took a sharp turn in the Italian Wars. Pope Julius II was one of the most ambitious Popes of the era. He had declared a Holy League against Venice in 1508, and defeated it. Then the formerly allied Papal States and France went to war with one another. Julius II declared a new Holy League against France on 4 August 1511 after siding with King Ferdinand in the French-Spanish struggle for power in Italy. Navarre refused to join and declared neutrality. Ferdinand II declared war on France in March 1512. A month later, Gaston of Foix died, meaning that Ferdinand's wife Germaine of Foix was able to claim the Pyrenean territories of the Albrets. In a few days Castilian troops advanced without resistance to the outskirts of Pamplona, where Ferdinand's ally Count John of Beaumont played host to the invading troops in his fortified palace of Arazuri. The assault troops of the expedition numbered 6,000 veterans, but the whole caravan including the rearguard amounted to 15,000. The population of Pamplona was less than 10,000. Catherine and John III left for Tudela hoping to raise troops among loyal lords, but managed to recruit only 500.:18 Overwhelmed by the sheer size of the Spanish expedition, the loyalists veered east to Lumbier (Irunberri), and on to Lower Navarre. Catherine, John III and their troops retreated to Orthez, Béarn. Pamplona's outer walls were flimsy, and the threat of a sack pronounced by the Duke of Alba loomed over the town. In view of the royal family's retreat to Lumbier, the local authorities surrendered on 25 July. Without delay, messengers were sent out by the Castilians to the main fortresses across Navarre demanding that they follow suit. Most of them submitted, except for Amaiur (Baztan), Estella-Lizarra, Tudela and Saint-Jean-Pied-de-Port. :21–22 The authorities of Pamplona were required to vow loyalty to Ferdinand, but they alleged that they could not as they had pledged allegiance to John III, their natural lord, and he was alive. In late August 1512 Ferdinand claimed that he was King of Navarre in law:de jure propio. The Castilians demanded the submission of all the lords in Lower Navarre (Ultrapuertos, Deça-Ports), while the Duke of Alba ordered the pulling down of all the tower houses in the territory. The orchards in the Saint-Jean-Pied-de-Port (Donibane Garazi in Basque) area were cut down, leaving the local population struggling for subsistence. :44 At this point, Ferdinand demanded a capitulation of Catherine and John III, but offered to negotiate their hold on the throne on condition that they sent their heir apparent Henry to be raised in the court of Castile. The demand was met with a flat refusal. The third column crossed the Pyrenees from Roncal (Erronkari) and reached Burgui. Fearful of having his communications with Pamplona cut, the Duke of Alba withdrew to the capital, leaving a well equipped garrison in Saint-Jean-Pied-de-Port. The Navarrese column advanced from Salazar towards Pamplona. On hearing the news of the Navarrese army's approach, Estella-Lizarra and the fortress of Monjardin next to it revolted against the occupiers. :38 On 24 October 1512, the Duke of Alba reached Pamplona, followed by Navarrese loyalist forces, who laid siege to the capital. In Estella-Lizarra, the rebels led by John Ramirez de Baquedano and Jaime Velaz de Medrano were soon opposed by the forces of Pedro de Beaumont, supported by the Castilians the Duke of Nájera and the Marquis of Comares. The Navarrese leaders made a last stand at the Monjardin fortress, but eventually a capitulation was signed. :39 The investment of Pamplona lasted for a month, but the coming of winter and the arrival of reinforcements from Castile thwarted any prospects of a successful conclusion to the operation. The loyalists retreated and the Castilian troops made their way back across the Pyrenees to Saint-Jean-Pied-de-Port and Lower Navarre, engaging in regular skirmishes with the disgruntled Beaumont party Lord of Luxe. Initially the kingdom was attached to Ferdinand—and therefore to the Crown of Aragon—as an earned good, falling back on the Papal bulls. Aragon was a Pyrenean realm with a similar confederate institutional make-up, as opposed to the authoritarian Castile. Castillian pressure resulted in the bequeathing of Navarre to Castilian Queen Isabella's daughter, Joanna of Castile, and annexing the Basque kingdom to Castile in 1515.:35–41 The annexation was confirmed after Ferdinand took an oath to respect Navarre's laws and institutions, the pactum subjectionis. On 11 June 1515 the Cortes of Burgos met. It was not attended by any Navarrese representatives. Even the Navarrese count of Lerin Louis of Beaumont, Ferdinand II's accomplice up to that point, protested at this annexation to Castile, and was incarcerated. Ferdinand wished to present his military intervention as legally justified. He commissioned a report by the legal specialists Antonio de Nebrija and Juan López de Palacios Rubios in order to make the case for his actions with a wide range of claims over the Basque kingdom. :26 During the following decades and centuries these reports were to become a reference point for debates on the morality of the Spanish conquest. Both scholars were acting as servants of their masters King Ferdinand II and the Duke of Alba when they accepted these propaganda assignments, as pointed out by the historian Alfredo Floristan. :49 López de Palacios would later develop the doctrine legitimizing the Spanish conquest of the West Indies. In late August 1512, once the conquest of the heartland of Navarre was completed, Ferdinand issued a statement defending his right to attack Navarre according to the iure belli or "fair war" doctrine passed by the Roman Church in 1511.:27 With Pamplona on his hands and the royal family in Béarn, Ferdinand further justified his claim on the Crown of Navarre by de iure propio, entitlement in his own right. Another claim involved a so-called "right of way" across Navarre in order to achieve military goals in Guyenne, supported by Ferdinand's divine right as a king. Ferdinand also claimed that he was "observing international treaties" by invading Navarre in order to help his ally England. :28 An additional claim was that the Navarrese lineage starting with Iñigo Arista (824–851) was an usurpation of the rightful Castilian claimant, the alleged heir to the Visigothic kingdom via the Kingdom of Asturias, the Visigoths being the holders of Roman Emperor Honorius' mandate for Hispania. :28 Lastly, Ferdinand advanced a number of claims to the Navarrese throne related to his marriage to Germaine of Foix, and to his, father John II of Aragon. However, the Navarrese crown was not cited explicitly in the Pastor Ille Caelestis bull. Echoing Ferdinand's claim in late August 1512, the Exigit Contumatium Papal bull was issued half a year later, on 18 February 1513. Catherine and John III were labelled as schismatic and therefore unworthy holders of the royal title, excommunicating them and confiscating their properties. :24 The members of the Parliament of Navarre attending the session held in Pamplona on 13–24 March 1513 accepted Ferdinand II as king. Despite the papal support to his actions, Ferdinand—and his successors— was haunted by allegations of tyranny and usurpation, and these concerns were to leave an imprint in the status of Navarre after the invasion. Ferdinand arranged to present the invasion as a mere dynastic change, attempting to conceal the fact of the military takeover. Despite Navarre being considered an "earned good" for the free disposition of Ferdinand, the pactum subjections was applied—taking an oath to respect the Navarrese law and identity. Navarre was no Granada, which was considered not only a legitimate conquest by Roman Catholic standards but a "reconquest" of the Visigoth Kingdom. :48 On the other side, Navarre was widely held to be an old Christian kingdom, with secular institutions and an entrenched identification of its population with the native social order. :34 Prior tempore, potior iure, or "earlier in time, stronger in law": the kingdom was stronger than the crown itself. 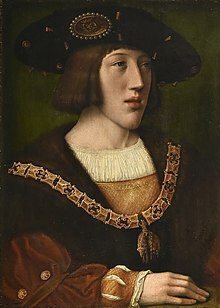 By 1516 Ferdinand was dead and his sixteen-year-old grandson by Isabella, Charles of Austria, had ascended to the throne of both Castile and Aragon. However, in 1516 he still lived in the Burgundian Netherlands. John III of Navarre saw an opportunity to reconquer Iberian Navarre. He raised an army in Sauveterre-de-Bearn made up of two columns, one commanded by himself and the other by Pedro, Marshal of Navarre. :49 This small army aimed at reaching Sanguesa and Lumbier, and there inciting an uprising against the Castilians. The first column led by John III failed to overcome the Castilian garrison occupying St-Jean-Pied-de-Port, while the second was no more successful. Pedro advanced towards Roncevaux on 12 March 1516, but Cardinal Cisneros had been informed of the Navarrese intentions and had Colonel Villalba waiting him at Roncevaux. Pedro in turn decided to avoid Roncevaux by way of Salazar and Roncal, but weather and the little sympathy shown by the local population (except for Roncal) eroded the 600-strong column. :60 The column was engaged in battle and defeated by Colonel Villalba near Isaba, in the valley of Roncal, and the survivors taken prisoner. Pedro was assassinated years later while in custody at Simancas, although it was presented as a suicide. The reconquest attempt failed, and on 14 August 1516 the Treaty of Noyon was signed between Francis I of France and Charles V, in which Charles agreed in the context of a wider agreement to reconsider his rights over the Kingdom of Navarre and listen to Queen Catherine's envoys. However, Franco-Spanish tensions mounted again, Catherine died in early 1517 and the provisions on Navarre set out in the treaty were never enforced. :66 Talks continued between Navarrese diplomats and Charles V to reach an agreement over a marriage between Charles' sister Eleonor and the new king of Navarre, Henry II. The Parliament of Navarre in Pamplona, attended only by Beaumont party members, demanded the reattachment to Higher Navarre of "Coastal Navarre",:26 the Basque districts better known as Biscay until the early 19th century. I am not Spanish, nor a subject of Spain. I do not renounce my fatherland, and I cannot pay homage but to my natural sovereigns. The institutional framework of Navarre was preserved following the 1512 invasion. Once Ferdinand II of Aragon died in January, the Parliament of Navarre gathered in Pamplona, urging Charles V, aged 16, to attend a coronation ceremony in the town following tradition. The Parliament's envoys were met with the Emperor's utter indifference, if not contempt. He refused to attend any ceremony and stated "let us say that I am happy and [the proclamation proposal] pleases me". Eventually the Parliament met in 1517 without Charles V, who was represented by the Duke of Najera. He pronounced an array of promises, while Parliament kept submitting grievances and demands for damages to the Emperor, a total of sixty-seven. The second viceroy of Navarre, Fadrique de Acuña, was deposed in 1515; probably for passing on the grievances. :39–40 Contradictions in the documents relating to the Emperor's purported oath pledge in 1516 point to a contemporary manipulation of the records. In 1520 and 1521, Castile was distracted by the Revolt of the Comuneros. The Crown of Aragon was also suffering economic difficulties as a consequence of the Revolt of the Brotherhoods. As a result, Spain was seen as a target of opportunity by the King Francis I of France. Meanwhile, the young King Henry II of Navarre, based in Béarn, saw a way to reconquer Navarre. :81 Taking advantage of the synergies with France, Henry began raising a 12,000-strong army, mainly Gascons and Navarrese exiles. This Franco-Navarrese army was commanded by General Asparros (or Esparre). It consisted of 12,000 infantry, 800 mounted knights, and 29 pieces of artillery. The Castilian Viceroy of Navarre, Antonio Manrique de Lara, 2nd Duke of Nájera, was caught off-guard. The Duke was responsible for guarding the Navarrese lands conquered in 1512, but he had moved the bulk of his troops away from Navarre to suppress the Revolt of the Comuneros in his home territory of Castile. Rumors of a "French" invasion had been widespread, with former comunero noble Pedro Girón warning of the impending invasion in April 1521. The Franco-Navarrese were completely defeated at the Battle of Esquiroz (Noáin) near Pamplona, on 30 June 1521. The French-Navarrese force did not have sufficient artillery to defend themselves, and were outnumbered by more than two-to-one. French and Navarrese losses numbered more than 6,000 dead, and General Asparros was captured,:353 and released in return for a ransom of 10,500 ducats, and the surrender of Pamplona. The Castilian fatalities numbered between 50 and 300. The victory was followed by an occupation in which the Navarrese were subject to abuse, pillaging, marginalization and exile. :85 This situation bred despair among many Navarrese, with many lords opting to switch sides to the victorious Castilians. :85 The Castilians did not relent, and continued to send reinforcements to the area as Charles V and France went to war across Europe. With the defeat at Noain still fresh in their memories, Kings Henry II of Navarre and Francis I of France allied again to strike back. This time on the northern fringes of Navarre—probably expecting the Spanish to be worn out militarily and financially by their relentless war activity. In late September 1521, the Franco-Navarrese divided in two columns and advanced towards the Bidasoa. The first column, made up of Agramont-party Navarrese, Normans and Gascons, was based in Labourd (in French royal territory), while the second, formed by German, Gascon and Norman infantry, set off from Saint-Jean-Pied-de-Port—then in the hands of troops loyal to Henry II. A total of 27,000 combatants under the command of Guillaume Gouffier, seigneur de Bonnivet. :95 Most of the troops were raised in the Norman and Pyrénées-based possessions of the Foix-Albret. After taking over Roncal, the second column headed west along the Pyrénées range, and captured Roncevaux. The Franco-Navarrese force approached the fortress of Amaiur (Baztan, Navarre), laying siege to the fortress the Castilians had just reinforced. On 3 October 1521 the Castilians capitulated in exchange for free passage to Castile.The troops of Guillaume Gouffier then headed to Labourd and on to Behobia, capturing the fortress of Urantzu and moving on to invest the coastal stronghold of Hondarribia (Fuenterrabía, Fontarabie) at the tip of Gipuzkoa in the Basque Country. This stronghold was captured on 12 October 1521 (other sources state 6 October). :96:354 The Franco-Navarrese held sway over an area extending from Belate to the mouth of the Bidasoa river. In May 1522, with Charles V in Pamplona, the Spanish forces started to gather the funds and troops necessary to respond. In July 1522, with Navarrese Amaiur about to fall, the Emperor disembarked in Santander with 4,000 landsknechts. Many Basques from Biscay proper, Gipuzkoa, Álava, and even Navarre joined Charles V's forces, as did a number of Aragonese. Ahead of the Castilian expedition to the Bidasoa, a combination of Gipuzkoan militias supported by 1,000 landsknecht engaged the Franco-Navarrese at the fortress of Urantzu in the celebrated Battle of San Marcial. The pro-Imperial forces took the position on 30 June 1522. While Charles V made military arrangements, he also issued a decree pardoning many of the banished and exiled Agramont party members loyal to Henry II. Charles V seems to have followed Ferdinand II's tactics, the partial pardon was intertwined with repression, such as a new order to pull down remaining Agramont and other Navarrese fortresses, besides putting Agramont leaders loyal to King Henry II to trial on lèse-majesté charges. The 39 surviving Navarrese lords of Amaiur were taken to Pamplona and held captive in the Saint Nicolas fortress. 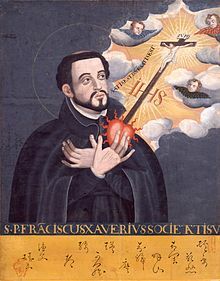 Besides Jaime Velez de Medrano, they included Miguel de Jaso, lord of Xavier, and Francis Xavier's oldest brother. They were imprisoned in Pamplona, and Jaime and his son were poisoned. Miguel managed to escape dressed in woman garments; he joined his brother John de Jaso and the 3,000 strong garrison of Hondarribia—1,000 Navarrese and 2,000 French. The garrison included Claude of Lorraine as one of its commanders. The Battle of Fuenterrabía (Hondarribia) would last until April 1524. On 29 February 1524, the Navarrese forces commanded by Pedro de Navarra, son of the assassinated Navarrese marshall, capitulated to Iñigo Fernandez de Velasco, his own uncle. They were promised a restitution of their properties, but only after vowing loyalty to Charles V. Ultimately, some of the defenders of the position were given positions in Charles V court—but far from Navarre—and their properties were partially or fully restored, but not without problems. With this surrender, Navarrese resistance to the Spanish-Castilian occupation was dealt its final blow. Localized military clashes were now confined to the southern fringes of Lower Navarre (Nafarroa Beherea in Basque, see map). In 1525, a Spanish attack captured St-Jean-Pied-de-Port again, it was held by the Spanish for almost two years, but in 1527 the lord of Luxe (Lukuze) and Esteban de Albret, lord of Miossens, recaptured the position. Except for a Spanish outpost in Luzaide/Valcarlos the region was abandoned in 1528 due to Charles V's loss of interest and the difficulties of defending it. France's loss of the wider war, with King Francis' and Henry II's capture at the Battle of Pavia in February 1525, sealed the division of Navarre. While Henry II managed to escape from prison, the Treaty of Madrid on 1 January 1526 and the Treaty of Cambray in 1529 confirmed Spanish control over the Iberian part of Navarre—Francis I committed to denying assistance to Henry II. The successive pardons decreed by Charles V were intended to help integrate Navarre into Habsburg Spain. A series of pardons to clergy who had sided with the legitimate monarchs were also decreed, with the first just after the 1512 invasion. However, distrust to the loyalty of the Navarrese was maintained throughout the 16th century while Protestant and independent Navarre existed to the north of the Pyrénées, prior to its absorption into France in 1620. Holdings confiscated from subjects loyal to Henry II began to be returned, but the procedures were fraught with problems, were accompanied by judicial persecution, and were accompanied by exemplary sentences for Agramont party leaders. Navarre remained on a state of military occupation at until at least 1530.:71 All positions in the kingdom's government were taken over by Castilian appointees, namely bishops, viceroys, and administrative personnel of the Royal Tribunals, the Royal Council, Accounts Chamber (Comptos), and the curia. Pamplona,:184 and other Navarrese towns were garrisoned by Castilian or Castilian-controlled troops. Navarrese ecclesiastics were prevented from rising to the position of abbot or above. :24 Navarrese showing a submissive demeanour were occasionally kept or appointed as officials. In 1525, on the heat of Henry II's two failed reconquest campaigns, the first witchcraft allegations were instigated by the graduate Balanza, a member of the Royal Council and a commissioner of inquiries on witchcraft for Navarre. He sent letters to the Castilian bishop of Pamplona, John de Rena, (an able military administrator, but not ordained for religious functions). Balanza asserted that there existed "so much evil" in a number of southern Pyrenean valleys—starting from Salazar and Roncal, to Burguete (Auritz), Baztan, Bortziriak, Malerreka (to Pamplona)—located in the rear of the St-Jean-Pied-de-Port front in Lower Navarre, and an active theatre of war just a few years or months before, "it should not be only me who is aware of it" . After his inquiry and the resultant trials, held between January and August 1525, 30–40 people, mostly women, were condemned and burnt alive by the occupation authorities; other sources point to 200. A further 43 were stripped of their property. On 15 August 1532, Ana of Albret, the sister of Henry II, died. She expressed in her will the wish to be buried with her parents Catherine I and John III in Pamplona, but her wish was not honoured. She also bequeathed her dominion as Princess of Viana to her brother King Henry II. Doubts over the occupation of Navarre perturbed Charles V until death. He attempted to find a compromise suiting both his ambitions and the monarchs of Navarre. To that end, he tried to marry his son and successor Philip II of Spain to the heir-apparent of Navarre, Jeanne d'Albret, in 1539, highlighting her high educational background and intelligence. These attempts ultimately failed, but Charles V left Philip II instructions on his will to give Navarre back, "following his conscience". :27 That never happened. ^ a b c d e f g h i j k l m n o p q r s t u v w Monreal, G./Jimeno, R.
^ a b c d e f g h i j k l m n o p q r s t u v w x y z aa Bustillo Kastrexana, J. ^ a b c d e f g h i j k l Urzainqui, T./Esarte, P./Et al. ^ Monreal, G./Jimeno, R. The assignment made by Aelii Antonii Nebrisensis ex gramatico et rhetore historici regii de bello navariensis, liber prior incipitur was included in his Decadas Latin-language chronicle, a tribute to Isabella of Castile and Ferdinand II of Aragon. ^ The king of France and the emperor are referred in the treaty as "The Catholic", i.e. Charles V, and "The Most Christian", namely Francis I; see Monreal, G./Jimeno, R. page 116. ^ a b c d e f Pérez, J. ^ In his influential Gramatica castellana (1492), Nebrija advocates for the need of the defeated to learn the language of the victors. He goes on to point that "it holds true that not only do the enemies of our faith need to know the Castilian language, but the Biscaynes, the Navarrese, the French, the Italians, and any others who hold a business and a conversation in Spain, as well as a necessity for our language, may be able to know it better, had not they acquired it by use since childhood, by means of this work of mine. See Monreal, G; Jimeno, R. p 49. Pérez, Joseph (1998) . La revolución de las Comunidades de Castilla (1520–1521) (6th ed.). Madrid: Siglo XXI de España editores. pp. 350–360. Bustillo Kastrexana, Joxerra (2012). Guía de la conquista de Navarra en 12 escenarios. Donostia: Txertoa Argitaletxea. ISBN 978-84-71484819. Jimeno Jurío, J.M. (May 1997). Navarra, Historia del Euskera. Tafalla: Txalaparta. ISBN 978-84-8136-062-2. Retrieved 23 November 2013. Usunariz, Jesus Mari (January–June 2012). "Entre dos expulsiones: musulmanes y moriscos en Navarra (1516-1610)". Al-QanṬara. 1 (XXXIII): 45–81. doi:10.3989/alqantara.2010.002. Retrieved 28 December 2013.